So, you’re getting excited because your dreams of travelling to Latvia is finally becoming a reality. That’s indeed a wonderful news! Now, there is just one more barrier you need to jump across—the Visa approval. 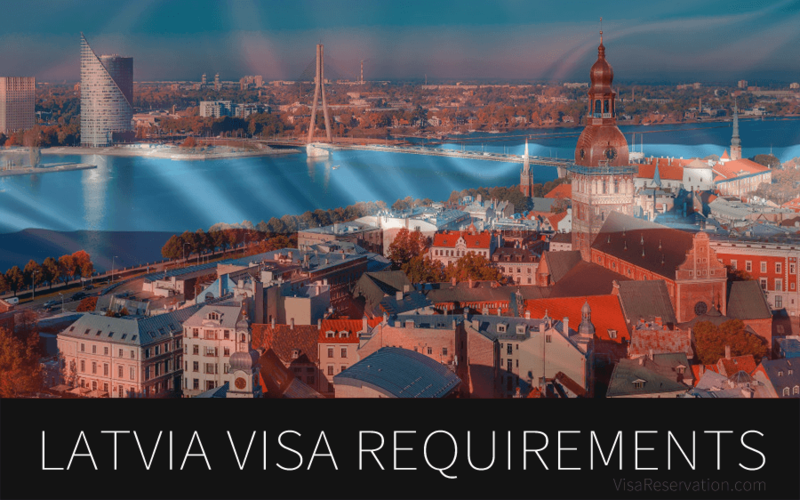 Latvia Visa requirements are similar to the visa application requirements for any other country. However, since Latvia is a Schengen area country, you’ll need a Schengen visa while visiting Latvia. If you’re confused about what a Schengen visa is, please don’t be, as a Schengen visa is not that different from a regular visa. The only difference would be that this visa is the same for all the countries that come under the Schengen agreement, which means you don’t need a separate visa to travel to any other Schengen area country! Visa application can be a pretty tedious process, but don’t let that turn your excitement down, even a bit. Even though Latvia Visa requirements can be quite elaborate if you’re unfamiliar with applying for a visa before, we can help you arrange your documents better by categorizing them into various segments. This way, you’ll have a happy time organizing the documents and submitting them in order of importance. The first thing you need is a fully-filled visa application form, which you can fill online or offline through a printed form. Once you fill in all the details, you will have to get a printout of the filled application form and sign it. The second among the important Latvia visa requirements is, you need to have a valid passport with at least 2 blank pages remaining. The passport needs to be issued within the last 10 years, and should have a validity that extends up to at least 3 months from the date of your return back home. We would recommend that to be at least 6 months, just to be sure. You may also need the photocopy of the front and back pages of your Passport for submitting along with your passport. You need to submit two passport-sized photographs with standard dimensions and your face covering at least 75-80% of the photograph. It is ideal to have a light coloured background. You need to submit a cover letter that shows your purpose of visiting the country as well as the main details about your travel, such as the places you intend to visit, what your mode of transportation inside the country is, and whether you’re travelling to any country other than Latvia during your trip. There are various proofs that are part of the mandatory Latvia Visa requirements. The most important one would be the proof of your means of subsistence. Since you’re visiting a totally different country, you need to have a good financial stability, not just to meet your travel expenses, but also to backup any emergency that may arise during your stay in Latvia. Latvian embassy requires both your bank statement for the past three months which is duly signed and sealed by your bank, as well as your Income Tax Returns documents for the past two years. Although it is a document that is often ignored during the visa application procedure, the No Objection Letter is one of the mandatory Latvia Visa requirements that can add a trust factor to your visa application and speed things up. It assures the Embassy that you will return to your home country after the visit, as you have your priorities, like a job and further studies. Your employer or school/university (in case you’re a student) need to state that they have no objection against you visiting Latvia. It is basically helpful in convincing the consulate that you’ll not be a cause to worry. To prove your marital status, you may need to submit certain documents, such as your birth certificate or marriage certificate. If you’re unmarried, your birth certificate, as well as your ration card, would suffice. For married individuals, the marriage certificate is one of the mandatory Latvia Visa requirements. You can also submit your child’s birth certificate as additional proof. In case your spouse has passed away, you may also submit your spouse’s death certificate as proof of your civil status. First, is the flight reservations for a round trip from your home country to Latvia and back. Booking the flights may be too risky and expensive, in case you’re not able to board the exact flight or your plans change during the visit. So, instead of booking your flights paying the full amount, you can ask your visa consultant for a round-trip flight itinerary for visa, which is a much cheaper alternative for your visa application. If you’re choosing your flight itinerary from Visa Reservation, our visa experts can also provide all the assistance you need during your visa application process too! Hotel Reservation for visa, similar to the flight reservations, is one of the unavoidable Latvia visa requirements, since the Latvian embassy needs to know where you’ve reserved to stay during your trip. You can submit the receipt or reservation acceptance from the hotel or resort you’ve booked. If you’re staying with someone you know, the proof of sponsorship is required. The Travel Insurance policy is as important as any other document in this article. Without the travel medical insurance, your application can be outright rejected, as this insurance is the only thing that can take care of your medical expenses during any emergency while on your Latvian tour. A foreign government will not be ready to take the responsibility of your health conditions while visiting their country. Hence, for your Schengen visa, you’ll require a medical insurance coverage of at least 30,000 EUR that is valid across all the Schengen Countries. You may also require some other additional documents that your immigration officer may request such as the copies of your passports, travel itinerary, invitation letter from the company you’re visiting, or any other document depending upon the nature and purpose of your travel. We know that all these documents are not that easy to obtain, especially if you’re applying for the visa on your own. That’s why, we have a full-fledged visa reservation service, so that you can get your hotel reservation for visa application, travel insurance, or dummy flight ticket without any hassle. Simply contact us using this link to choose your suitable package and enjoy your Latvian trip without worries!